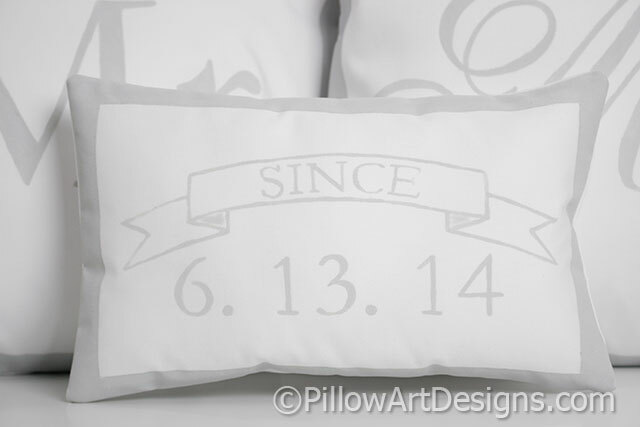 Small pillow with Since date banner and date in numerical format, measures 8 X 12 inches. Comes stuffed with hi-loft polyester fiberfill, no need for an insert. Outer edges framed in .75" wide painted frame. 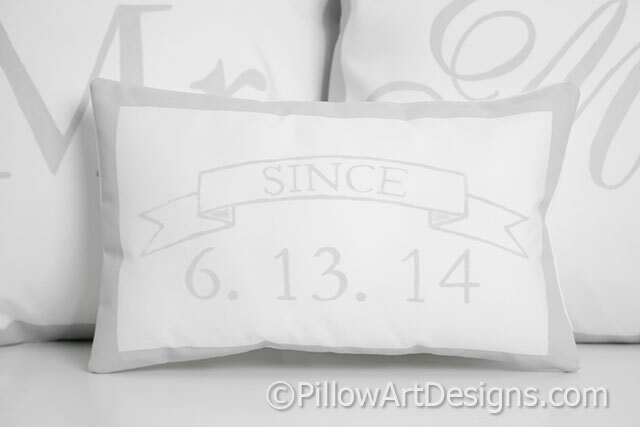 To order, purchase this listing and remember to send me the numbers you wish for the front of the pillow.